KITPLUS (formerly tv-bay.com) is a global online portal for pro video and broadcast news, kit reviews, articles, video resources and of course THE marketplace to for advertising equipment for sale in the Broadcast, Film and Video industries. Simply register, buy online credits and then exchange these for advertising space to sell your unwanted broadcast and pro video gear. 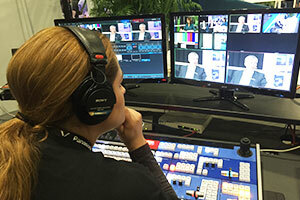 After 6 months in development the original tv-bay was launched at NAB, Las Vegas, in 2004 and was an immediate hit with both private and professional sellers alike. Within a few months the numbers grew to over 200 unique IP addresses a day and now in 2016 we have 1000's per day visiting from around the world. KitPlus' monthly magazine was launched in June 2006. We, and our readers, love print - it's tangible, hangs around in offices for ages, has countless 2nd/ 3rd/ 4th hand readers and, when part of an online portfolio, is the perfect reference point. The down side of print though is the ever rising UK postage but on the positive side this has spurred us to constantly look at our database, question our readers and further qualify their interest in both KitPlus and the industry resulting in a dynamic database for both print and online. Our print run is now just over 65,000 copies per year made up of 4600+ direct mailed copies to UK subscribers (people that have requested it only) each month and show copies such as BVE, NAB and IBC - plus we are the still the only industry magazine to be at the Gatwick Virgin departure gate for flights leaving for NAB (imagine being stuck on a plane for 10 hours with a copy of KitPlus! ).We also proud to support UK media colleges and universities with free issue magazines for students (and lecturers), a policy which after 10 years of doing so has paid off with many graduates now working and specifying equipment for their workplace and still reading KitPlus of course! For those not able to recieve the print magazine we have the KitPlus digital online issue which you can view here - packed with interactive links and constantly being improved with features such as embedded video clips. All articles in the magazine are also added to our articles section for easy searching as we have found that electronic publications rarely appear in organic web search results. 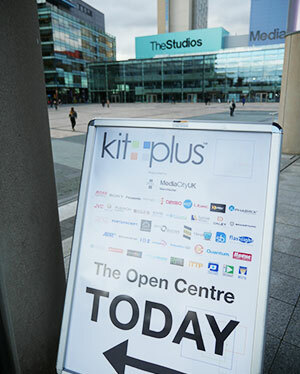 Take a look around www.kitplus.com where we host 100's of interviews from the industries leading trade shows, reviews and other great video content! the magazine is 1/5 news, 1/5 regular columns from industry experts, 1/5 feature related topics, 1/5 industry stories or events and the final 1/5 is new and used equipment for sale.